Rough, tough and roarin' to go, your favorite heroes are back for even more epic adventures! Join Kion and his fearless friends as they defend the Pride Lands and protect the Circle of Life in five action-packed episodes featuring King Simba, the spirit of Mufasa and the hilarious Timon and Pumbaa. 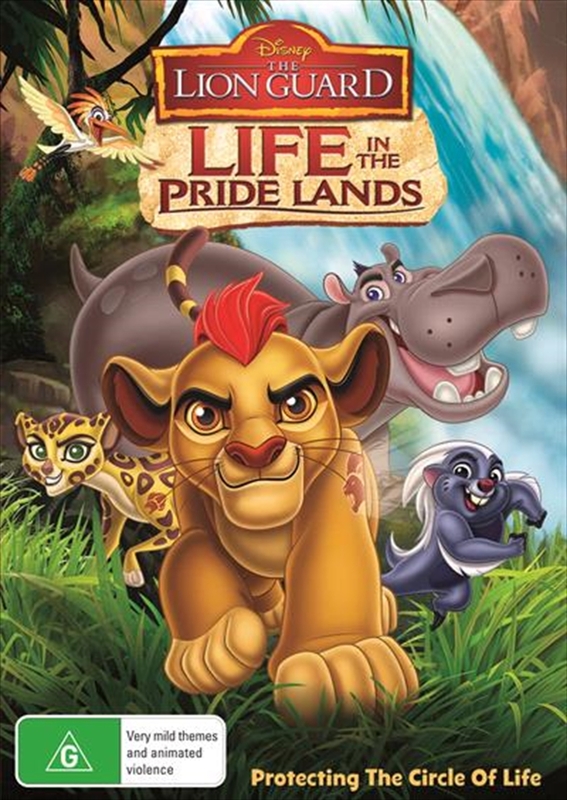 Whether THE LION GUARD is tracking a trespassing leopard, foiling tricky jackals or facing dangerous crocodiles, LIFE IN THE PRIDE LANDS is always hevi kabisa -- totally intense!